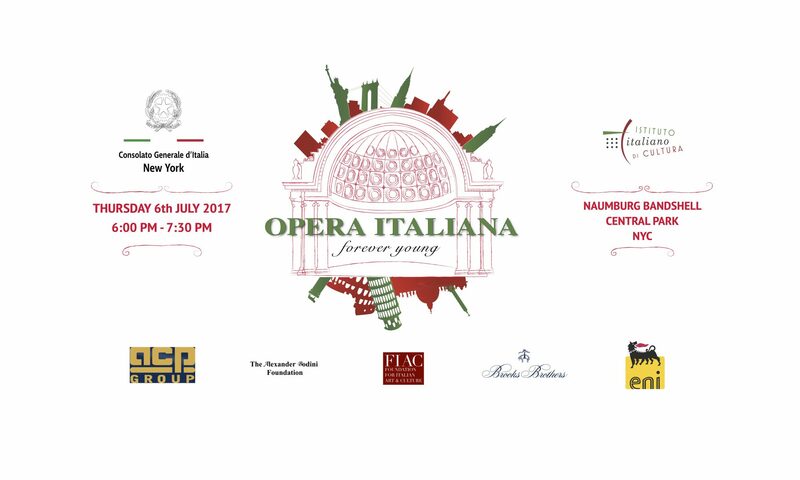 Central Park Summer Concerts is proud to present an Italian Opera experience given to the people of New York from those who are most passionate about Opera. Opera is one of the most elevated forms of art that has ever existed, with six hundred years of sustained excitement and devotion. Central Park Summer Concerts wishes to lavish its artistic talents in the hopes of instilling a lifelong love of Opera in all but especially in young people. Under the musical direction of Maestro Alvise Casellati, conducting top musicians, students and graduates, of the major New York schools, i.e. Juilliard, Manhattan School of Music, Mannes, Eastman, it is our greatest pleasure and ambition to enchant a passion of Opera in a widespread and diverse audience. You are invited to join us to revel in this complex and energetic music on Thursday, July 6th 2017 from 6pm to 7:30pm at the Naumburg Bandshell in Central Park. What more could you wish for on a Summer Night in NYC?